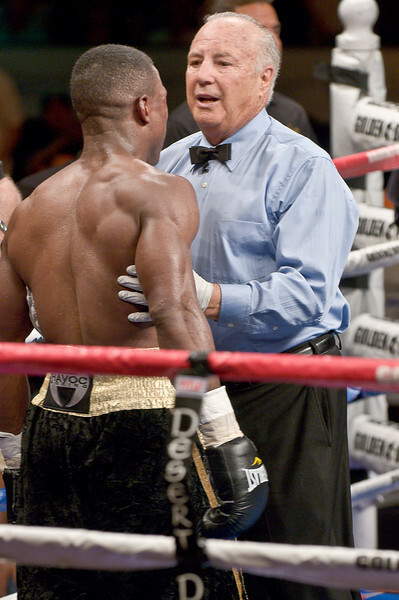 (6.26.2009 -- Tucson) Referee Bobby Ferrara telling George Walton that he will not be able to continue his fight with Daniel Jacobs. This gave Jacobs an 8th round TKO victory. Images from the Golden Boy Promotions fight card at the Desert Diamond Casino.